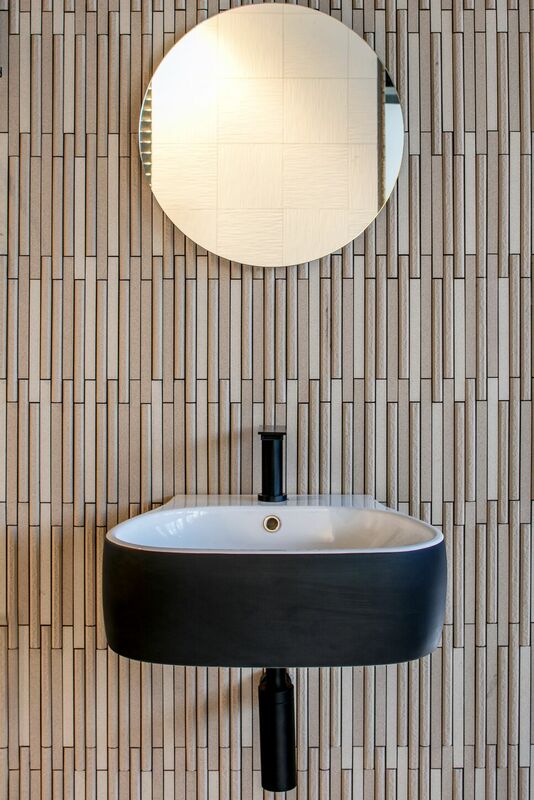 Bucatini mirror, Pear basin and Sen tap on Ombre Border. 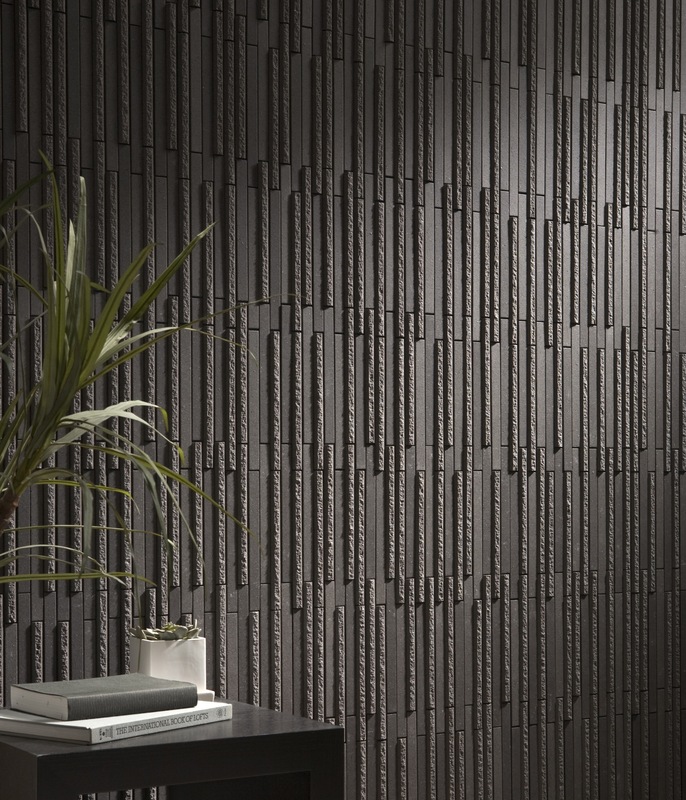 Omble Border combines flat surfaced tiles with the beautifully textured design of the Hosowari Border. 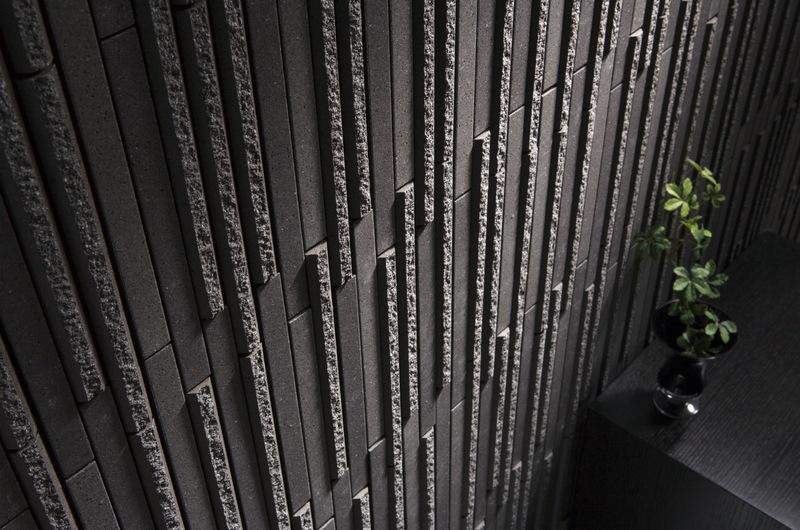 The combination of smooth and rough hewn face with angled edges provides a striking finish.